Over seven days you will have the opportunity to learn more about dolphins from our marine biologists and observe and be close to them in their natural habitat. With many different resident pods around São Miguel and Pico, you will be able to enter the water to be with them almost every day. If you love these animals this is a package designed for you! These animals are very curious, sociable and intelligent. Check it by yourself! We will have two swimmers at a time. This is the best way to enjoy the animals. Taste the famous Furnas stew, a meal cooked in volcanic vents. DAY 2 – Swimming with dolphins (2h30m). Free afternoon for other activities (we suggest a city tour in Ponta Delgada). 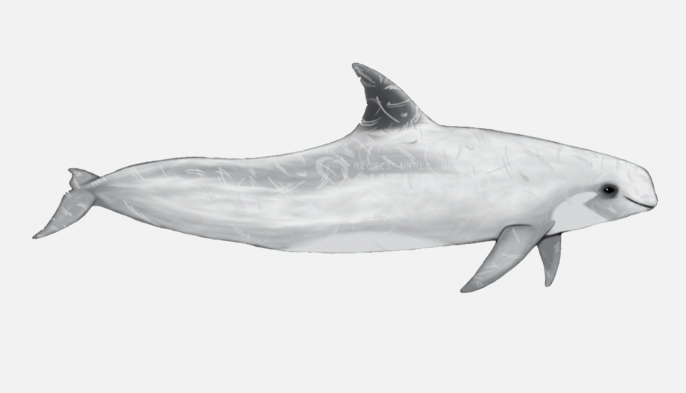 DAY 3 – Swimming with dolphins (2h30m). Free afternoon for other activities (we suggest a jeep safari to Lagoa do Fogo). DAY 4 – Pick up at the hotel. Thematic tour to Furnas. “Cozido” lunch included. Return to the hotel. On this tour we feel and experience the volcanic origins of the Island in Furnas, a magical place. 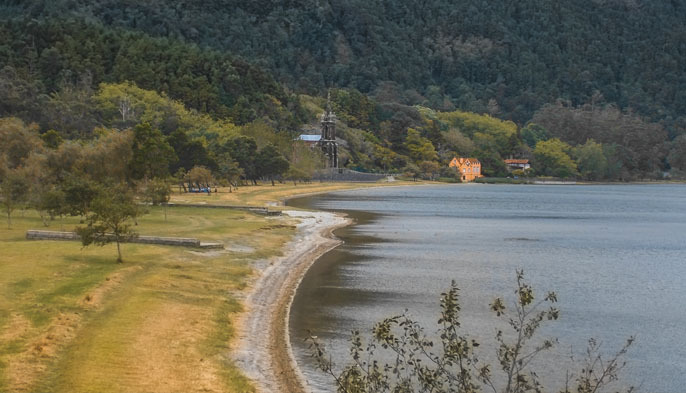 We start by visiting the Caldeiras da Lagoa das Furnas (Furnas Lake Calderas), a place where we cook the famous “cozido das Furnas” (a very special meal cooked only with the steam of the Earth) and continue with a soft walk that crosses a stream and circles the lakeside. During this walk we have the opportunity to appreciate a variety of endemic flora species. Next we visit the town of Furnas, with its fumaroles and hot springs that contain water with different tastes. The Cozido meal is served in a local restaurant. After lunch we visit the centenary Terra Nostra botanical garden that is famous for its extraordinary collection of native plants on the Azores, as well as others from all over the world that have adapted to the local garden conditions. At the end of the visit you are invited to bathe in an iron-rich hot water swimming pool that has a temperature of 35-40oC, an exquisite experience! 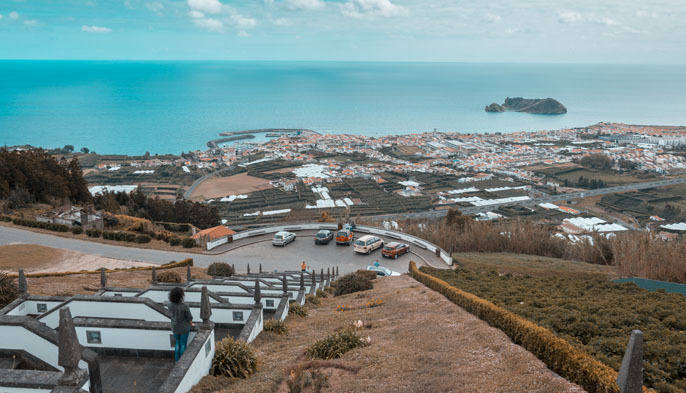 On the way back to Ponta Delgada we stop at several beautiful viewpoints on the North Coast and also at the only tea plantation in Europe where we will be able to visit the working tea factory and have a lovely break to taste the tea. 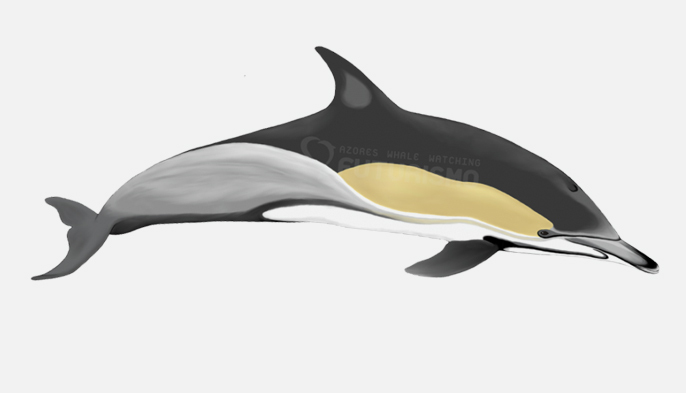 DAY 5 – Swimming with dolphins (2h30m). Free afternoon for other activities (we suggest a whale watching trip). 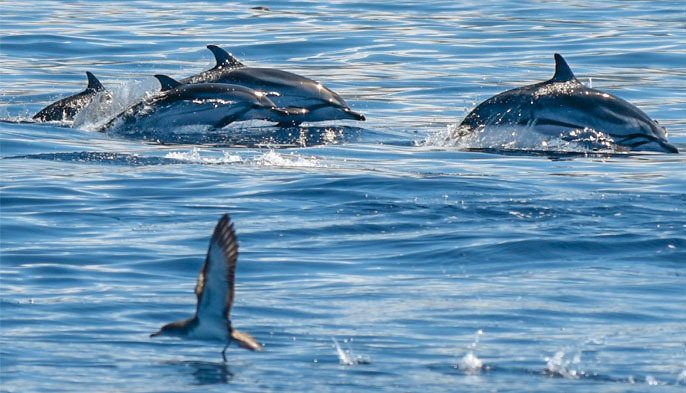 DAY 6 – Swimming with dolphins (2h30m) and visit to Vila Franca islet a) – full day. Lunch included. After the swimming with dolphins tour we stop in Vila Franca do Campo to have lunch in a local restaurant. 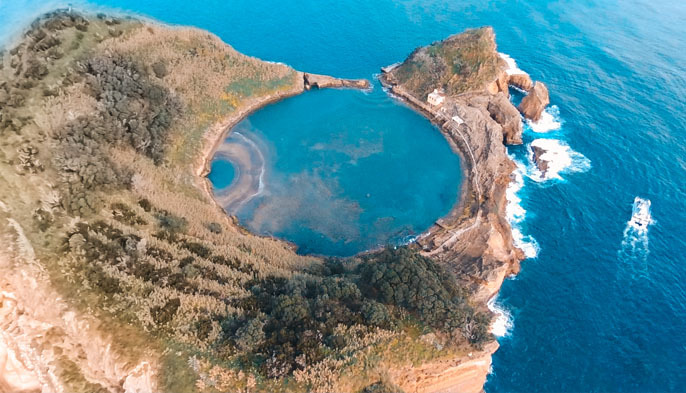 Then we board a converted traditional fishing boat and head to Vila Franca do Campo islet, a volcanic crater off the coast that encloses a natural lagoon. The islet is a natural reserve, so here you will be able to view the diversity of fish species that have been preserved due to this protection (masks and snorkels are provided). Transfer back to Ponta Delgada by boat or van. a) This activity is only available during the summer season due to the schedule of Vila Franca islet. The islet is typically open to the public between June 15th and September 15th. As an alternative we suggest an adventure tour in Sete Cidades that includes canoeing in the lake and a mountain bike tour, or other activity arranged with the guest upon arrival. 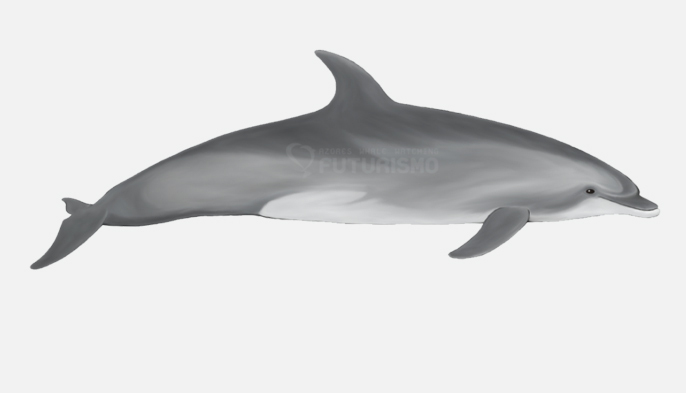 DAY 7 – Swimming with dolphins (2h30m). Free afternoon for other activities (we suggest a hiking tour in Sete Cidades). Lunch in local restaurant on day 6 – starter, fish or beef, dessert and drinks included. In the morning whale watching and in the afternoon an adventurous ride along one of the most beautiful lakes of São Miguel Island.